BEIJING/WASHINGTON (Reuters) - U.S. President Donald Trump has broken the ice with Chinese President Xi Jinping in a letter that said he looked forward to working with him to develop relations, although the pair haven't spoken directly since Trump took office. The letter thanked Xi for his congratulatory note on Trump's inauguration and wished the Chinese people a prosperous Lunar New Year of the Rooster, the White House said in a statement on Wednesday. "President Trump stated that he looks forward to working with President Xi to develop a constructive relationship that benefits both the United States and China," it said. China said on Thursday it attached great importance to China-U.S. ties. "We highly appreciate President Trump's holiday greetings to President Xi Jinping and the Chinese people," Chinese Foreign Ministry spokesman Lu Kang said at a daily press briefing. Asked whether it was a snub that Trump had held calls with many other world leaders as president, but not Xi, Lu said: "This kind of remark is meaningless." He reiterated that China and the U.S. had maintained "close communication" since Trump took office and that cooperation was the "only correct choice". "China is willing to work with the United States in adhering to the principles of non-confrontation, mutual respect and mutual benefit to promote cooperation, control disputes, and on a healthy and stable foundation, promote greater development in China-U.S. ties," Lu said. Diplomatic sources in Beijing say China has been nervous about Xi being left humiliated in the event a call with Trump goes wrong and the details are leaked to the U.S. media. "That is the last thing China wants," a source familiar with China's thinking on relations with the United States told Reuters. 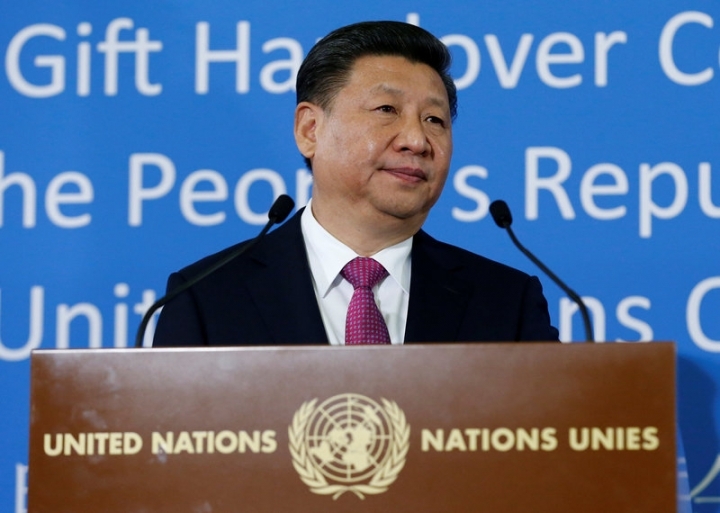 "It would be incredibly embarrassing for President Xi and for Chinese people, who value the concept of face." A senior non-U.S. Western diplomat said China was unlikely to be in a rush to set up such a call. "These things need to happen in a very controlled environment for China, and China can't guarantee that with the unpredictable Trump," the diplomat said. "Trump also seems too distracted with other issues at the moment to give too much attention to China." There are a number of contentious areas where China fears Trump could go off script, the diplomat said, pointing in particular to the issue of self-ruled Taiwan, as well as trade. Trump upset China in December by taking a phone call from Taiwan President Tsai Ing-wen. China considers Taiwan a wayward province with no right to formal diplomatic relations with any other country. Trump has also threatened to slap tariffs on Chinese imports, accusing Beijing of devaluing its yuan currency and stealing U.S. jobs. In his Senate confirmation hearing, U.S. Secretary of State Rex Tillerson said China should not be allowed access to islands it has built in the disputed South China Sea. The White House also vowed to defend "international territories" in the strategic waterway. China has repeatedly said it has smooth contacts with the Trump team. The Foreign Ministry in Beijing said last week the two countries were remaining "in close touch". That contact has been led by China's top diplomat, State Councillor Yang Jiechi, who outranks the foreign minister. The source familiar with China's thinking said Trump's administration was "very clear" about China's position on Taiwan. Trump has yet to mention Taiwan since he took office. Chinese state media has wondered whether Trump has a China policy at all. On Thursday, the widely read Global Times tabloid, published by the ruling Communist Party's official People's Daily, noted that Trump had not immediately confronted China as had been expected because he had realized upsetting Beijing would backfire badly. "He has probably realized that real tough action against China would result in a complex chain reaction, even beyond his control," the paper said in an editorial. Wang Yiwei, a professor of international relations at Beijing's elite Renmin University, said the letter suggested the new U.S. administration wanted to signal the importance it attached to the U.S.-China relationship without risking being confronted on specific issues. "Trump has sent many messages that makes the world confused, like on the South China Sea and 'One China' policy, so if he makes a phone call President Xi will ask 'what do you mean? '," Wang said. "He wants to avoid this so he just sends a letter for the first step."